Ever Heard Of A Rooster That Can Lay Eggs? Win this 1948 Farmall H! "made it myself" farm inventions and ideas! 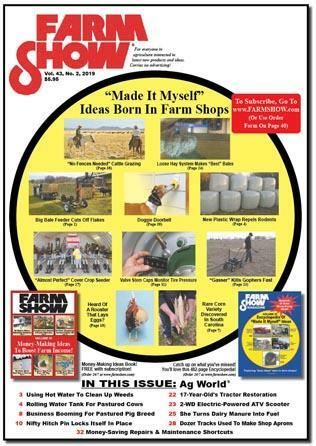 Over the past 43 years our editors have logged millions of miles in search of latest new farm products and "made it myself" ideas born in farm workshops. Much of what we've found is included at this site.